I have had some feedback to my posts about the Tanjil River (http://www.theultralighthiker.com/tanjil-river/), Latrobe Rivers & etc. Some people phoned to thank me for an enjoyable trip on this section of the Tanjil. They are WINTER canoeists employing sit-on canoes and wet suits to access the much higher river levels usually available in the cooler months (.65 metres as compared with .45 metres in February). This extra 200mm (8”) of water fair scooted them along so that they finished this section in 2 ½ hours, half my February time! They were kind enough to invite me along on their next expedition- even offering the loan of a canoe (I would also need a wetsuit). I AM more into hiking/hunting in the cooler months and canoeing in the summer, but we will see. I am also not sure how my balance (Menier’s) will cope with sit-on-top canoeing. Certainly the winter months give access to MANY more of the smaller streams in Gippsland. Update: They have now completed the section downstream from Costins Rd (bridge) to the Rowleys Hill Rd Bridge in 5 1/2 hours at a gauge height of .6 metres. They said the first half (to the Staircase Track) had more than a dozen logs which needed portaging (or chainsawing), and that the second half was more enjoyable. The trip from Costins Rd to Casuarina track therefore takes over 7 hours at these heights (which is probably an overnight trip). In summer (above at .45-.5 metres it is likely to take half as long again, so might be spread out over 2-3 days with some clearing work along the way! They told me they have canoed the Morwell River – a surprise – (downstream from the bridge at the East Branch Confluence) to Monash Way, the Traralgon Creek (from ABOVE Traralgon), & the Tyers from the W12 down to the pumping station. They have also completed two sections on the Latrobe: Hawthorn Creek (Bridge) to Camp Creek (4WD needed for take-out – 4 hours at a gauge height of .95 – Willow Grove), and a section upstream of Lake Narracan. They have also completed a section on the Wellington from one of Tali Karng Track road bridge downstream to Licola. 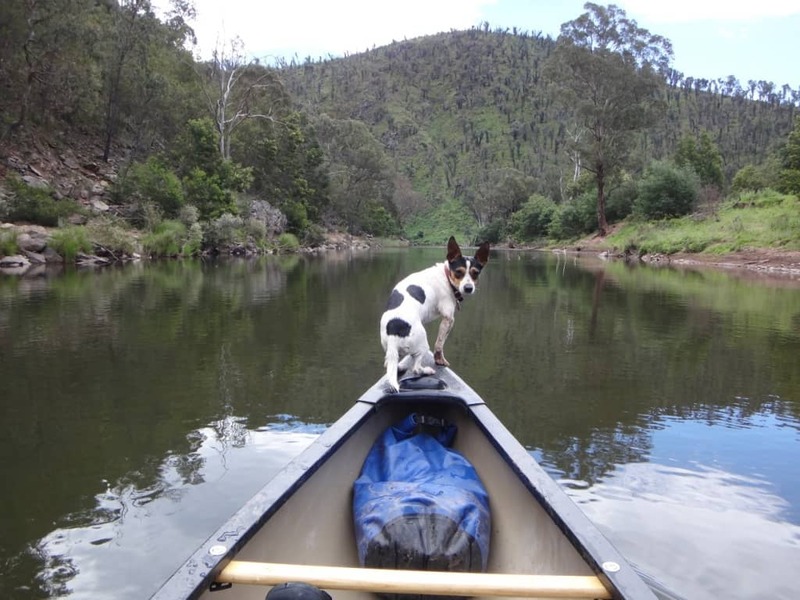 As I have (20 years ago) canoed the Western Tyers from Growlers to Tyers Junction, and from there to Delpretes Road (in summer) on the Tyers, I think we can say that with some work the Tyers CAN be made into an excellent long-distance (local) canoeing adventure – likewise the Latrobe (from the Noojee Bridge just upstream of the Toorongo confluence (perhaps even further upstream!) to Lake Narracan and beyond). Each of these rivers would provide multi-day trips very close to the Latrobe Valley towns. If people would take a small bow saw when they attempt a section, leaving plenty of time for removing small timber, later folk can come along with a chain saw and remove the larger timber. In summer, it is pleasant and easy to stop and move some rocks from pebbles races and chutes to make them more navigable too. There already are some lovely campsites along each river. I’m sure a handful of others will not go astray! We love taking our three kids camping, we are always looking at new camp sites to take our van to. We are located in Pakenham and have explored Noojee, Paradise Valley, Montana Caringal Scout camp. We love camping on the Gippsland rivers. In your canoeing adventures I’m sure you have seen some terrific camp sites. Are you able to recommend any to me. The van is quiet large as well.. I haven’t been to Donnellys or Christmas Creek I will check these out thank you. You probably would not get a large van down to Donnellys, but if you don’t need to camp by water there are many places around the Thomson & Yarra catchments where they have mowed the firebreaks on the sides of the road 20 metres or more under the trees. Really pleasant camping. steve,we kayaked Latrobe river using sit on top 3 metre long vessels.we kayaked from Neerim north (forest edge camp) tohawthorn creek bridge via kings road fumina south,river level being good at 1.2metres .Took four and a half hours with lots of trees in the first half of trip but second half was easier but still no white water.so for anyone wanting some white water action up to grade 3 on the Latrobe river, the only option is the section from hawthorn bridge to camp creek road.five hours of great kayaking and fine scenery. One metre or more at willow grove measuring station recommended. chow! jack van berkel. steve, my wife and I tried to kayak from Noojee to forest edge camp (private property-permission required) approx. 13klm. We got 4k down Latrobe river which took three and a half hours, tree upon tree upon tree.we were stuffed so we hoped out at bridge near toorongo river confluence and hitch-hiked back to car at Noojee. A week later we kayaked from said bridge to forest edge camp at Neerim north.This section of 9klm took three and a half hours with lots of trees and no white water. We will not bother doing it again. I will get back to you when we do from Neerim north to hawthorn creek bridge on kings road. cheers jack van berkel. ps. when I say trees I mean trees and bloody big buggers. Basin Flat to Cheyne’s Bridge on the Macalister Eric. About three Grade 3 rapids to watch for. Takes `5-6 hours now. Have a post about river heights somewhere. Search http://www.finnsheep.com/Ultralight%20Hiking.htm (search term = ‘macalister’). May be best overnight if you want to fish as well unless you start very early.